Polyphony rules! 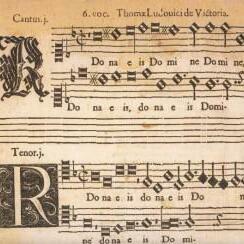 This week on The Spanish Hour, Music of the Spanish Renaissance performed by Lionheart and the MSM Schola Cantorum. Saturday, 8am CT on KVNO.ORG and 2pm PT on KWAX.COM.